Since childhood Esther has occupied herself by making small things. 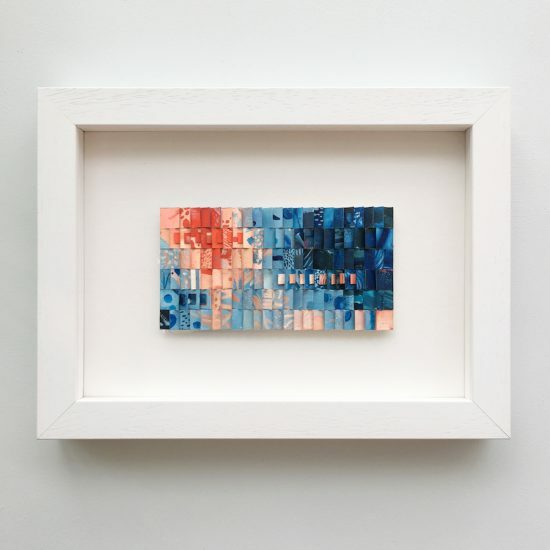 Indulging this compulsion, her current work is made up of hundreds of individually painted miniatures. 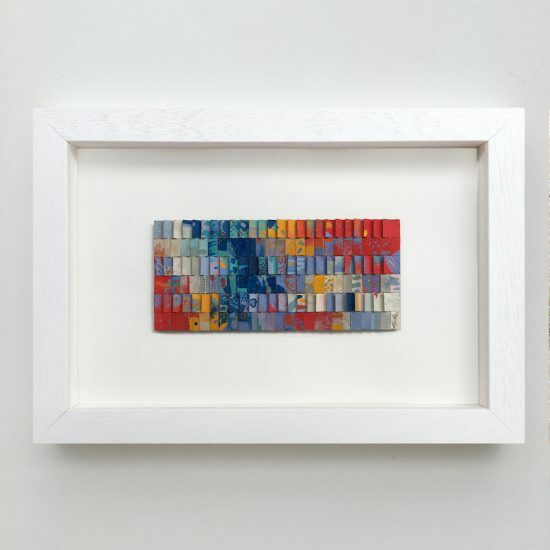 These tiny paintings are composed and assembled by a process of layering and folding to create intricate three–dimensional pieces. 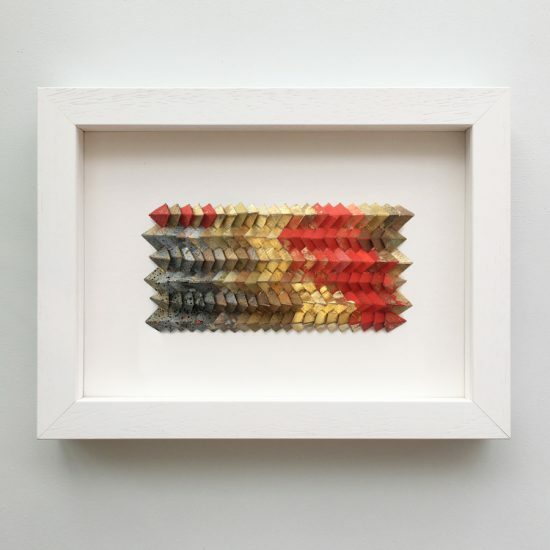 The dynamic structures appear to shift as the viewer and shadows move around the work. 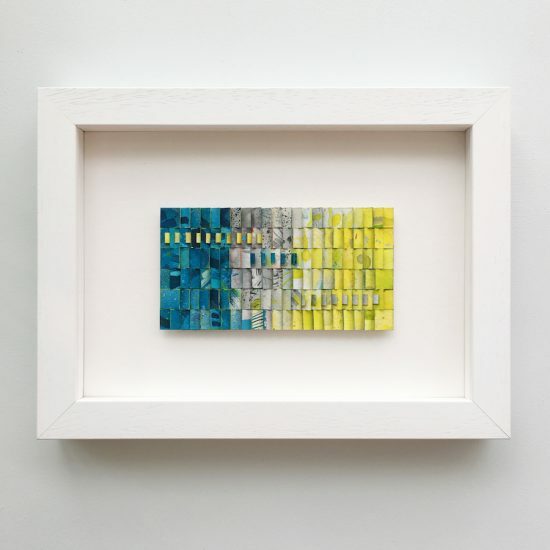 The kinetic style of her work is further supported by the artist’s use of mixed media, texture and complementary colour. 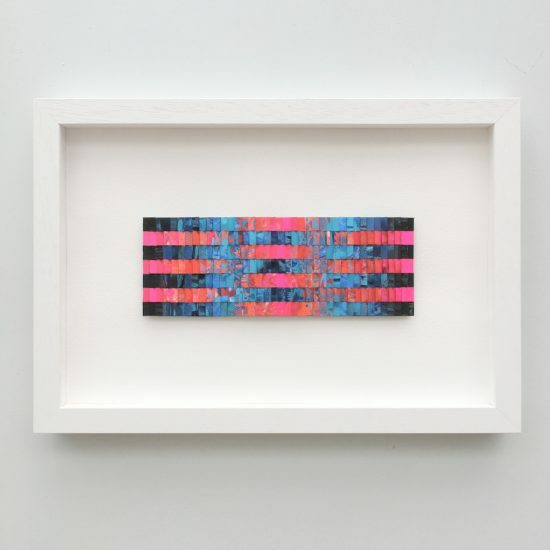 Textile practices are referenced throughout Esther’s body of work. 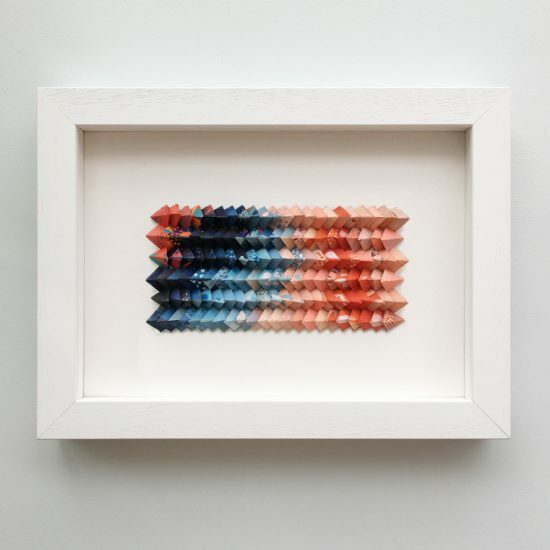 Having studied design at the London College of Fashion, she is concerned with the tension between fine and applied art. 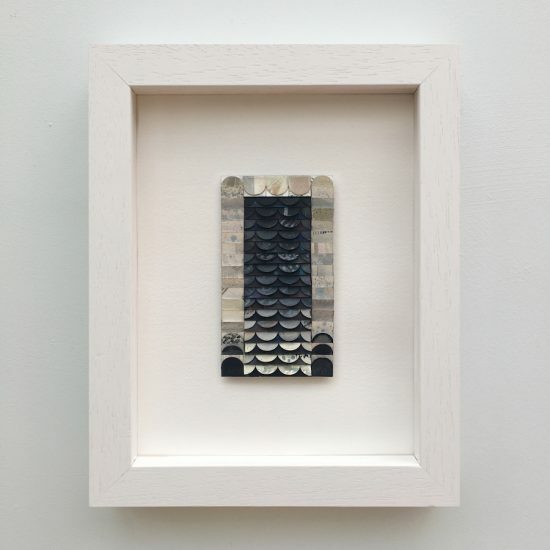 Whilst Esther considers her work to be thought provoking, it is important to her that her paintings are tactile and inviting.